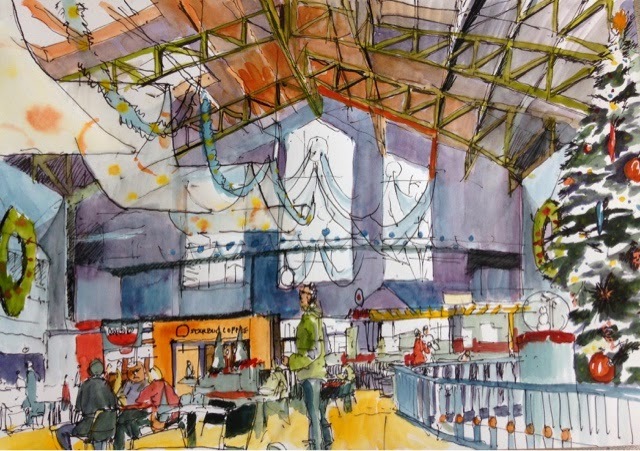 It wouldn't be Christmas without a trip to Winterfest to see the trains, hear the carols and this year to sketch the armory. There is so much activity going on that it can be overwhelming to draw. So after finishing the armory I opted for a single subject. I've always loved the retro styling of our beloved Monorail. Wow, Dan. You really captured the bustling feeling. Yes, definitely overwhelming. But, wow, did you ever capture the room! 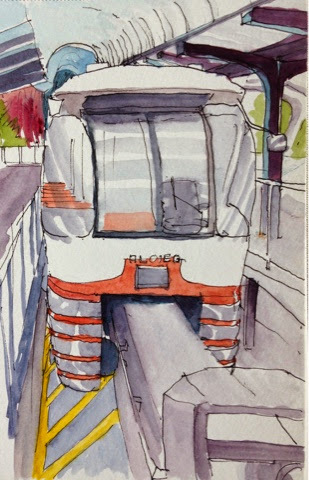 Good sketch of the Monorail train, too!